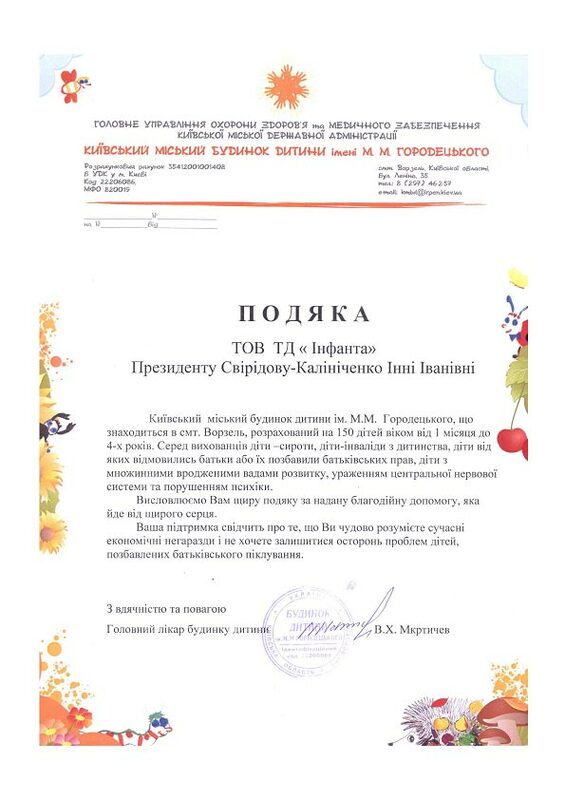 Kyiv City Orphanage named on behalf of M. Gorodetsky, subordinate to the main management of health and medical care, situated in the resort village Vorzel st. Lenin, 35. Orphanage is numbers 120 beds. There are orphans and children deprived of parental care with organic lesions of the central nervous system and mental disturbances age from birth to 4 - years. In addition to the charitable activities carried out by the Trade House "Infanta" alone, the founders of our company constantly attract partners to support children.